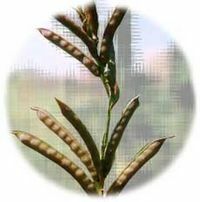 The guar plant 'Cyamopsis Tetragonalobus' is an annual plant. The legume is an important source of nutrition to animals and humans, it regenerates soil nitrogen and the endosperm of guar seed is an important hydrocolloid. This company supplies Products & Services in the Chemical, Food & Beverage, Manufacturing, Metallurgy and Materials, Mining, Paper & Wood, Water & Wastewater Treatment industries.